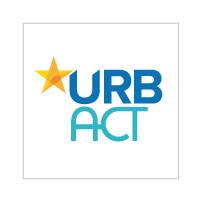 Home » URBACT News » 25 Transfer Networks approved! Each network, composed of 3 cities, is starting a first working phase of 6 months during which it is granted resources to extend the partnership by identifying relevant partners, develop a common understanding of the Good Practice to be transferred, explore the conditions and requirements for a successful transfer in the local context, and the definition of the methodology for transfer activities. The Transfer Networks will have to be made of at least 5 and up to 8 partners. Below is the list of the 25 approved Transfer Networks. Congratulations to them! We will shortly publish more information for cities interested to join these networks.